This work attempted to determine the optimum conditions required for the coagulation and flocculation process as an essential stage of the ceramic wastewater treatment. Coagulation and flocculation is a very necessary step in industries as it lessens turbidity, color, and odor of wastewater. The experimental work was performed in several runs. The volume of wastewater used in each run was 200 mL and was kept at this value throughout. In certain runs, the speed of the mixer was varied while keeping the quantity of coagulant and flocculant constant in order to determine the optimum speed that resulted in the least turbidity. A speed of 5% was chosen as the ideal process speed according to the results obtained. Next, experiments were operated at this optimum speed while changing the dosage of coagulant and flocculant in order to decide the optimum dosage. Coagulant and flocculent amounts of 0.4 g (without booster) and 0.2 g (with booster) selected after the readings were taken. For all the readings, a turbidity meter was used providing results in Nephelometric Turbidity Units (NTU). Lowest turbidity was achieved when using 5% speed with 0.4 grams of coagulant and 0.4 grams of flocculant, or 5% speed with 0.2 grams of coagulant, 0.2 grams of flocculant and 0.25 g/L of booster coagulant. According to factorial design analysis, such as parameters as impeller speed and dosage have an influential impact on the turbidity; while the booster has insignificant influence and other interactions between parameters are important. Wastewater polluted with various contaminants from domestic, industrial, commercial and institutional sources needs to undergo efficient treatment. It is highly important to treat the wastewater before it is discharged or re-used to protect the environment and health of people. Treated wastewater can be safely disposed to water bodies located nearby such as rivers and lakes or can be re-used for irrigation purposes. Coagulation and flocculation is a coupled process used widely in numerous industries as a vital part of the overall treatment of wastewater. The principal aim of coagulation and flocculation is to decrease turbidity of wastewater. Turbidity refers to the cloudiness of water mainly due to the presence of suspended particles, namely colloids. It has been reported that removal of such colloidal particles from the wastewater is necessary and is a challenging issue for the industries [1, 2]. Coagulation/flocculation is a straightforward and effective technique for wastewater treatment and has been broadly utilized for the treatment of different sorts of wastewater, for example, palm oil plant profluent, material wastewater, mash factory wastewater, sleek wastewater, clean landfill leachates and others [3– 7]. In this procedure, after introducing coagulant and/or flocculant, finely partitioned or scattered particles are amassed or agglomerated together to frame huge particles of such a size (flocs) which settle and cause illumination of the framework . Inorganic salts of multivalent metals, for example, alum, poly aluminium chloride, ferric chloride, ferrous sulfate, calcium chloride and magnesium chloride have been broadly utilized for a considerable length of time as coagulant . It is fundamentally as a result of its preference of minimal effort, where their business sector cost is particularly lower contrasted with the chemical flocculants. In any case, the utilization of inorganic coagulants in wastewater is entirely restricted these days and has been lessened because of various weaknesses. It has been accounted for that its utilization would bring about two vital ecological results which are the generation of vast volumes of the metal hydroxide (poisonous) emission which will make transfer issue and an increase in metal (e.g. aluminum) concentration in the treated water which may have human health implication . Lately, numerous manufactured polymers have been utilized as the principle flocculants which could improve the performance of coagulation/flocculation process with promising results [11, 12]. Commercial organic flocculants are generally water dissolvable polymers made out of acrylamide and acrylic acid. As a rule, they are obtained from oil-based and non-renewable crude materials . Regularly utilized polymeric flocculants incorporate polyacrylamide, polyacrylic corrosive, poly(diallyl dimethyl ammonium chloride) (DADMAC), polyamine and others . The utilization of organic polyelectrolytes in drinking water treatment was studied focusing on the sorts of polymers ordinarily accessible and the way of the contaminations to be removed . Subsequently, the role of polymeric flocculants in wastewater treatment is well understood, where it has effectively treated colloidal particles and contaminants (toxins) from different sorts of wastewater. Worth mentioning, the efficiency of the coagulation and flocculation process, which affects the overall efficiency of the treatment process, depends on various factors. These include the quantity (dosage) and type of coagulant and flocculant used, retention time, the speed of the mixer and the temperature at which the process occurs. Optimum conditions are extremely necessary to achieve high efficiency and fine results. 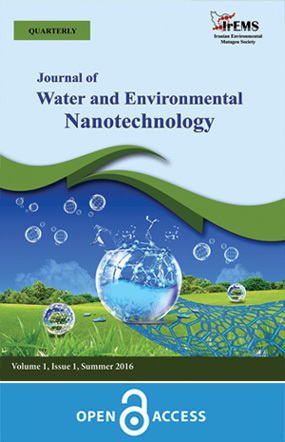 This study was carried out using wastewater collected from a ceramic factory (Industrial city, at Ras Al-Khaimah, UAE). The absence of the water assets, the impact of wastewater release from this plant on the ground water, annihilation for creatures around the territory and the advantage of reuse the mass clay in ceramic fabricating bodies and land filling, UAE government provided strict enactment concerning the amount of the water utilized as a part of the manufacturing plant require treatment of such wastewater. In this work, the polyacrylamide polymer (CH2CHCONH2) was used as a coagulant, polychromide was used as a flocculant because of its high molecular weight and negative charges, while poly-aluminum chloride (PAC) was used as booster coagulant. The coagulant/flocculant system was tested for their ability to treat Ras Alkhaima ceramic wastewater. The treatment was assessed via turbidity of the treated water. The objective of this work is to determine the effect of such parameter as coagulant/flocculant dosage, mixing speed, and coagulant booster on the turbidity of the treated water. Factorial design analysis will also be used in order to achieve this goal quantitatively. Armfield Flocculation Test unit (Armfield, UK) assists in performing ‘jar tests’ on wastewater sample that require treatment by flocculation process on a laboratory scale (Fig. 1). It is used to determine the optimum coagulant and flocculants dosage for enhanced removal of solids. It can also be used to study the effect of the mixing time and the intensity of aggregation. Moreover, a light is integrated under the base of the test beakers to assist in the observation of suspended flocs and solids by the naked eye. Four stirrers are available to test 4 samples at the same time. Dimensions of paddle blade are 50 mm × 15 mm; stirrer speed is in the range 0 – 200 rpm; and the maximum sample volume is 1 Liter. LP 2000 turbidity meter by Hanna Instruments (Germany) was used to determine the turbidity of the suspensions. This meter cover covers the 0 to 1000 Formazine Turbidity Unit (FTU) range with 0.01 resolution from 0.00 to 50.00 FTU and single digits from 50 to 1000 FTU. The FTU is equivalent to the Nephelometric Turbidity Unit (NTU). Wastewater samples were obtained and 5 runs were carried out to determine optimum speed, the optimum mass of coagulant and flocculant and the effect of the coagulant booster. In order to optimum flocculation speed, each test was started by adding 200 ml of water sample following by addition of 3 g of coagulant. The speeds of the four mixers (shown in Fig. 1) were set at 5%, 10%, 20%, and 40% and mixing were allowed for 5 minutes. The mixing time of 5 minutes was found experimentally as the best period for the mixing process. After 5 minutes, 3 g of flocculant was added to each beaker. After another 5 minutes, the mixers were switched off and quickly transferring the content 4 different cylinders (Fig. 1). After 24 hours, the turbidity was measured using the turbidity meter and the volume of water collected was also measured. To investigate the effect of coagulant and flocculant dosages, the above-mentioned procedure was repeated using the optimum mixer speed but tests were repeated using 0, 0.1, 0.2, 0.3, 0.4, 0.5, 1, 2, and 3 g of coagulant and flocculant. The effect of coagulant booster was studied by the addition of 0.25 g/l of coagulant booster to each system after addition of the coagulant. The pH was fixed during the course of experimentation at the initial value of about 7.5 – 8.0. All tests were carried out at room temperature. A factorial design is a procedure used to screen variables, to assess the main impacts and interaction impacts of various parameters, and to create an empirical model for a given system. It is utilized in view of its capacity to pick up a lot of data from a minimum number of data points. . Selection of two level, high level (+1) and low level (-1), operating variables and construction of factorial tests are explained elsewhere . After performing the coagulation/flocculation process at different mixer speeds, the results were recorded and analyzed. The results are shown in Fig. 2. Some samples showed no separation between suspension and water and turned out to be all suspensions, which was due to adding a high amount of coagulant and flocculant. However, the rest of the samples showed a trend in the relation between the speed of mixing and the turbidity as shown in Fig. 2. At a lower mixing speed, the water would have a lower turbidity. The mixing speed is an important factor in the coagulation and flocculation process and must be given great attention, because if the speed exceeds a certain limit, the mixer’s impellers will begin to tear apart the flocs forming in the water and therefore the particles become smaller and harder to settle, which results in an increase in the turbidity of the water. According to Fig. 2, it is noted that within the experimental range being tested, the best speed to work with for the coagulation and flocculation of this water sample is 5%. Another important factor in the optimization of the coagulation-flocculation process is the amount of chemicals added to the system. After testing the turbidity of the water at different amounts of chemicals, the results showed that the optimum mass for the coagulant and flocculant is 0.4 grams of each. As seen in Fig. 3, the turbidity of the water drops drastically when adding a small amount of chemicals (0.1 grams) and keeps dropping by small increments until it reaches the lowest turbidity (5.64 NTU) at 0.4 grams of chemicals. After that, as the amount of chemicals increases, the turbidity of the water starts increasing with the amount of chemicals. Therefore, the optimum amount of chemicals to be added was found to be 0.4 grams. The booster coagulant, which is poly-aluminum chloride in this work, was added to enhance the coagulation process by increasing the amount of positive charge and therefore creating particles that are larger, heavier and settle easily. The booster was added in an equal amount of 0.25 g/l to the water to test for the difference in the turbidity with and without the booster. Fig. 4 shows the turbidity of water at given amounts of coagulant and flocculant with and without the addition of the booster. It can be seen that the booster worked well with the samples carrying the lowest amounts of chemicals and decreased the turbidity by 8% in the case of the first dose of coagulant (i.e. 0.1 g) and approximately 24% in the case of the second dose of coagulant (i.e. 0.2 g). It also changed the optimum amount of chemicals from 0.4 grams to 0.2 grams, which is half of the dosage. However, for samples with a larger amount of chemicals, the booster gave a higher turbidity than the original test (without the booster), which is a result of the coagulant and booster getting attached and not allowing the particles to settle perfectly. The interaction among previously studied parameters on the water turbidity can be explored via two-level factorial design. For the factorial design analysis, the working variables speed, coagulant/ flocculant dosage and coagulant booster (with or without) were designated as X1, X2, and X3, respectively; while the turbidity, as a response variable, was designated as Y. Construction of the 23 complete factorial design is shown in Table 1 with measured values of the response variable, i.e. turbidity. Details for the construction of this table, calculation of factorial model parameters as well main effects and interaction effects are explained elsewhere [17, 18]. Clearly, interactions exist among the operating variables and that the parameters don’t work autonomously on the response variable. An outline of the calculation method for the main impact of every term in Eq. (1) is appeared in Table 2. Therefore, based on the values of Table 2, the effect of increasing the speed from 5% to 40% overall levels of dosage and whether with booster and without a poster is to increase the turbidity to 824.2 NTU. Also, the increase in the dosage from 0.5 to 3 g increases the turbidity to 1233 NTU, while booster has an insignificant effect on the turbidity. It can be concluded that the influence of dosage on the turbidity is more pronounced than that of impeller speed. The impact of interaction (dummy) parameters can be comparatively computed. These parameters measure any conceivable interaction in the framework. It is seen that the values of these impacts (Table 2) are important in contrast with the impact of the main operating variables, hence their impact on the response variable (turbidity) cannot be disregarded. The factorial design is a valuable technique in deciding the operating variables that essentially impact the turbidity of ceramic wastewater. It decreases the mystery that would have gone into figuring out which factors really influenced the turbidity. At 95% confidence level, the factorial design showed that, as main variables, the impeller speed and dosage have a significant effect on the turbidity, while the booster is not a significant variable. Likewise all conceivable interactions between the three variables are immaterial and do influence the value of the turbidity within the scope of the operating conditions tried in this work. 1. Divakaran R, Sivasankara Pillai VN. Flocculation of kaolinite suspensions in water by chitosan. Water Research. 2001;35(16):3904-8. 2. Nasser MS, James AE. The effect of polyacrylamide charge density and molecular weight on the flocculation and sedimentation behaviour of kaolinite suspensions. Separation and Purification Technology. 2006;52(2):241-52. 3. Ahmad AL, Ismail S, Bhatia S. Optimization of Coagulation−Flocculation Process for Palm Oil Mill Effluent Using Response Surface Methodology. Environmental Science & Technology. 2005;39(8):2828-34. 4. Tatsi AA, Zouboulis AI, Matis KA, Samaras P. Coagulation–flocculation pretreatment of sanitary landfill leachates. Chemosphere. 2003;53(7):737-44. 5. Wong SS, Teng TT, Ahmad AL, Zuhairi A, Najafpour G. Treatment of pulp and paper mill wastewater by polyacrylamide (PAM) in polymer induced flocculation. Journal of Hazardous Materials. 2006;135(1–3):378-88. 6. Yue QY, Gao BY, Wang Y, Zhang H, Sun X, Wang SG, et al. Synthesis of polyamine flocculants and their potential use in treating dye wastewater. Journal of Hazardous Materials. 2008;152(1):221-7. 7. Zhong J, Sun X, Wang C. Treatment of oily wastewater produced from refinery processes using flocculation and ceramic membrane filtration. Separation and Purification Technology. 2003;32(1–3):93-8. 8. Sharma BR, Dhuldhoya NC, Merchant UC. Flocculants—an Ecofriendly Approach. Journal of Polymers and the Environment. 2006;14(2):195-202. 9. Joo DJ, Shin WS, Choi J-H, Choi SJ, Kim M-C, Han MH, et al. Decolorization of reactive dyes using inorganic coagulants and synthetic polymer. Dyes and Pigments. 2007;73(1):59-64. 10. Flaten TP. Aluminium as a risk factor in Alzheimer’s disease, with emphasis on drinking water. Brain Research Bulletin. 2001;55(2):187-96. 11. Pal S, Ghorai S, Dash MK, Ghosh S, Udayabhanu G. Flocculation properties of polyacrylamide grafted carboxymethyl guar gum (CMG-g-PAM) synthesised by conventional and microwave assisted method. Journal of Hazardous Materials. 2011;192(3):1580-8. 12. Kang Q, Gao B, Yue Q, Zhou W, Shen D. Residual color profiles of reactive dyes mixture during a chemical flocculation process. Colloids and Surfaces A: Physicochemical and Engineering Aspects. 2007;299(1–3):45-53. 13. Suopajärvi T, Liimatainen H, Hormi O, Niinimäki J. Coagulation–flocculation treatment of municipal wastewater based on anionized nanocelluloses. Chemical Engineering Journal. 2013;231:59-67. 14. Singh RP, Karmakar GP, Rath SK, Karmakar NC, Pandey SR, Tripathy T, et al. Biodegradable drag reducing agents and flocculants based on polysaccharides: Materials and applications. Polymer Engineering & Science. 2000;40(1):46-60. 15. Bolto B, Gregory J. Organic polyelectrolytes in water treatment. Water Research. 2007;41(11):2301-24. 16. Murphy Jr., T.D. (1976) Design and analysis of industrial experiments. Chemical Engineering 6: 168-183. 17. Abdel-Jabbar N, Al-Asheh S. Factorial design for the analysis of packed-bed sorption of copper using eggshell as a biosorbent. Journal of Environmental Protection Science. 2009;3:133-9. 18. Montgomery DC, Runger GC. Applied Statistics and Probability for Engineers: John Wiley & Sons; 2010.